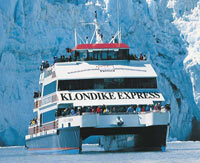 Phillips Cruises & Tours, LLC operates daily glacier and wildlife cruises in Prince William Sound. We offer two cruises during the summer. 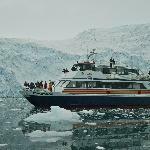 26 Glacier Cruise - Our most popular choice! 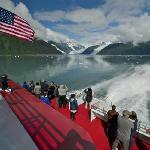 A journey into Prince William Sound is unforgettable. 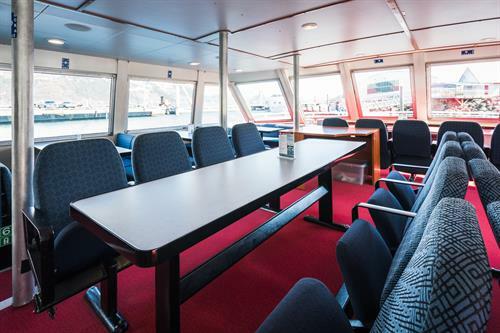 Explore the serenity of Esther Passage, view majestic alpine and tidewater glaciers in College and Harriman Fjord while traveling in luxurious comfort aboard the Klondike Express, the fastest catamaran in Alaska. 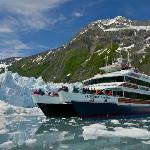 Glacier Quest Cruise - Great choice for families with children! 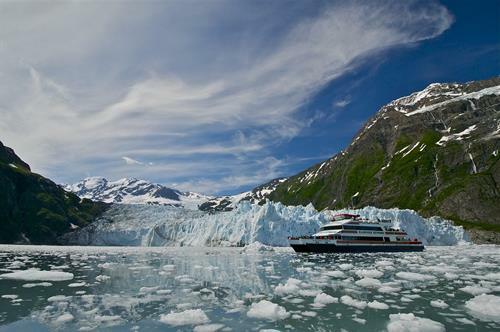 Cruise into magnificent Blackstone Bay, home to seven glaciers and Yosemite-scale waterfalls. Watch for playful sea otters, harbor seals, kittiwakes, bears, whales or mountain goats. 1:00 pm to 4:45 pm, $109 Adult, $55 Child, plus taxes/fees. Our cruises include a delicious hot lunch, narration by U.S. Forest Service Rangers, reserved indoor seating, restroom equipped, and no seasickness guarantee. Try one of our glacier ice margaritas from our full-service bar, snacks, or a variety of gifts available for purchase. 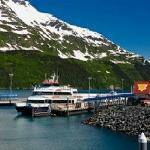 Our cruises depart from the Cliffside Marina in Whittier which is 1.5 hours south of Anchorage or 2.5 hours from Soldotna. If driving, connect to Whittier at mile 79 of the Seward Highway. Continue down Portage Glacier Road to the Anton Anderson Memorial Tunnel. Plan to arrive at the tunnel entrance 30 minutes after the hour to enter the tunnel which operates on an alternating schedule allowing one-way traffic to travel between Bear Valley and Whittier. 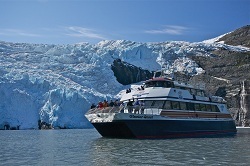 26 Glacier Cruise 5 Hours - Explore the glaciers and wildlife of Prince William Sound. 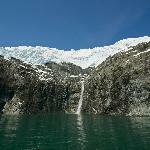 Glacier Quest Cruise 3.75 Hours - Cruise to Blackstone Bay to see glaciers up close. 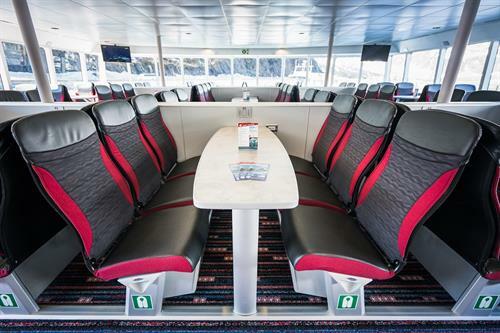 Includes a delicious hot lunch served after departure with coffee, tea and ice water. Our Captain and the US Forest Service ranger provide narration during the cruise. A perfect day trip for friends, family, business networking and special events. Turn off Seward Highway at mile 79 onto Portage Glacier Road. To access Whittier, proceed through the Anton Anderson Tunnel $13 per standard passenger vehicle. Parking available for $10-15/day.